Find huge deals in Kyoto, Japan that you may book now & pay later! 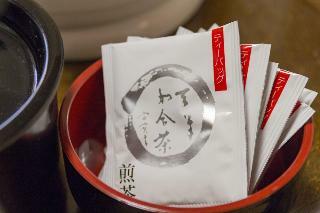 Best prices for in Kyoto, Japan. A dream vacation for you and your family, guaranteed by our travel consultants. For members-only deals, we recommend using the new filter for deals in Kyoto, Japan. 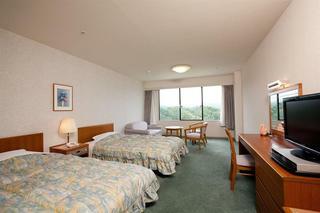 Located next to Kyoto City Hall with spacious rooms. Some non-smoking rooms are also available. 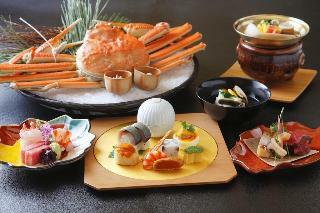 More than 10 restaurants, including a famous Chinese restaurant and a steak house. There is a fitness center, shopping arcade, pharmacy, hairdresser, barber, and Japanese handicrafts shops.Subway Kyoto Shiyakusho-mae Stn (Tozai Line),15 min. by taxi from Kyoto Stn. 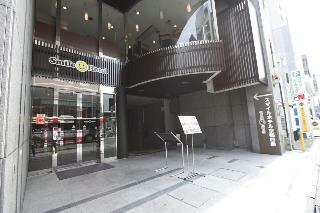 Located nearby subway Gojo Stn, and easily accessible to famous scenic places. Rooms with wooden-based interior and the panoramic bathroom on the top floor promise you comfortable stay for business and sightseeing. 2 min. walk from Subway Karasuma-Line's Gojo Stn. 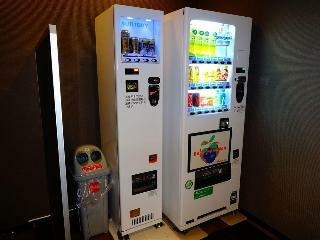 Located just in front of JR Kyoto Station. Elegant guest rooms and five restaurants where tast by first calss chef is available will welcome you. Right by JR Kyoto Station, Department store, restaurant & shopping arcades in the heart of Kyoto, the hotel offers a perfect blend of traditional and contemporary Kyoto: rooms designed to reflect the heartwarming Kyoto tradition, business support, wide range of restaurants and bars, banquet rooms, pool and fitness center.1 min. walk from JR Kyoto Stn.Directly connected to Kyoto Stn. 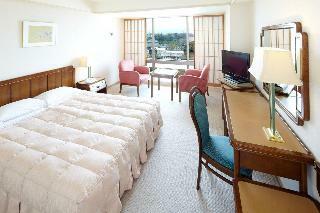 This comfortable hotel is situated in Kyoto. This hotel offers a total of 224 units. This accommodation does not accept pets. It is a simple and elegant hotel is located in a quiet residential area. It spreads height 23m in the lobby. Wide and airy atrium lobby. This cosy hotel is set in Kyoto. A total of 85 bedrooms are available for guests' convenience. Pets are not allowed at Rhino Hotel Kyoto. This cosy hotel is in Kyoto. The accommodation comprises a total of 192 snug guests rooms. 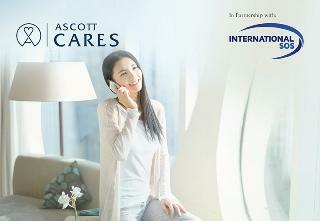 Travellers can enjoy the convenience of 24-hour reception. 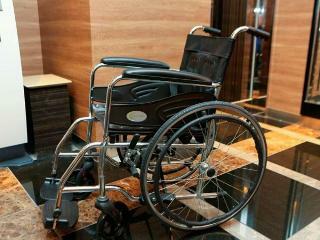 The premises offer accessible public areas. No pets are allowed on the premises. Toyoko Inn chain hotel located at the heart of Kyoto featuring reasoable price 3 minutes walk from the No.2 exit of Gojo station on the Subway Karasuma Line The closest hotel from Kyoto station, which is the center of Kyoto's transportation Adjacent to historical tour attractions All rooms equipped with air-conditioner, refrigerator, coffee pot, hair dryer etc. 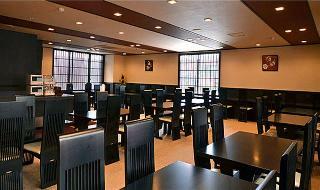 This 4 star hotel is located within the city of Miyazu. It is 11.3 Km from the Amano Hashidate and the nearest station is MiyazuStation. The Hotel has an indoor swimming pool. 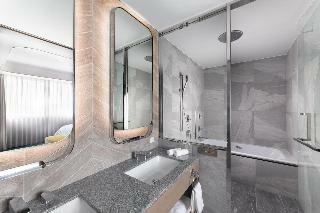 All 311 rooms are equipped with minibar, hairdryer and air conditioning. A 5-minute walk from Sijo Station of Subway Karasuma Line. 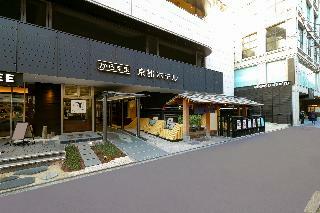 The hotel is located in Shijokarasuma, the center of Kyoto City, providing easy access to the city's business and shopping areas as well as major sightseeing areas. 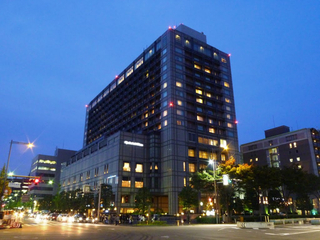 Hotel Vista Premio Kyoto -Kawaramachi St.
Largest Hotel Chain's hotel in Kyoto, abundantly include Japanese and Kyoto taste like spot light and shoji with glass window behind a sliding bottom half. This comfortable hotel is situated in Kyoto. The hotel consists of 83 guests rooms. New Omi is not a pet-friendly establishment. 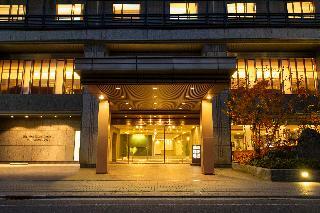 Kyoto Tower Hotel is located just in front of JR Kyoto Station and convenient for sightseeing and business. 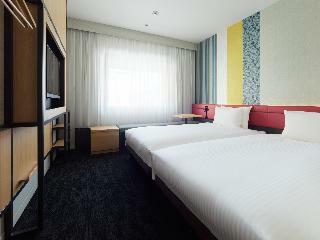 160 rooms all equipped with bath, shower, air-conditioner and TV. Negative ion water of good quality, which is good for your beauty and health, is supplied and used in our hotel. For each guest, one free-ticket for observation deck in Kyoto Tower. 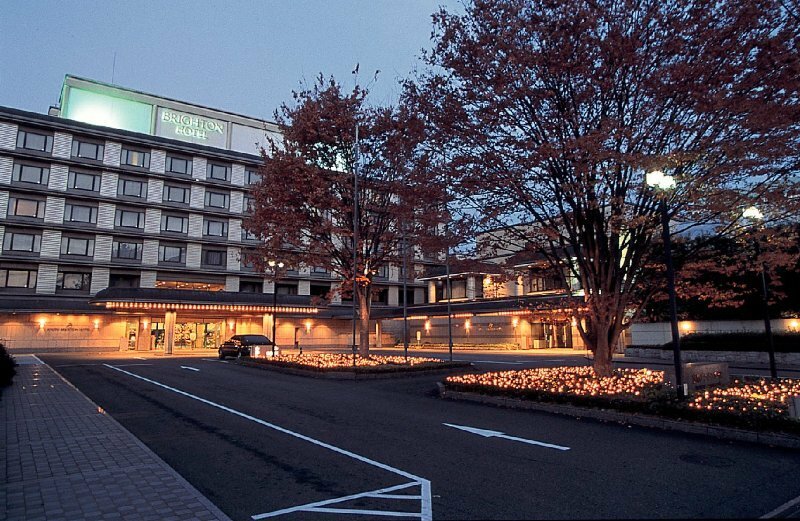 This sophisticated hotel can be found in Kyoto. A total of 21 units are available for guests' convenience. 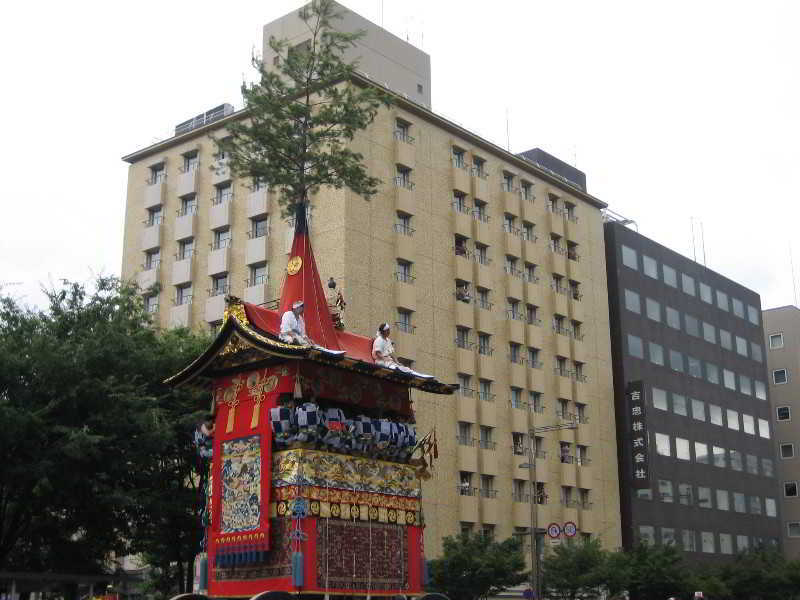 Gion Hatanaka offers wired and wireless internet connections. The reception is open 24/7. Pets are not permitted on the premises. The car park may be useful to those arriving by car. Gion Hatanaka may charge a fee for some services. Situated at south of Kyoto Imperial palace,west of Kamo river,quiet housing area,convenient for center of sightseeing.Place was Yoshitaka Kido-Japanese samurai.Offer wide variety of Kyou Japanese styled dinner tray,Nabe(hot pot dish),western dish.There are attractive experience program for Apprentice geisha,Kyou Japanese confectionary etc.